Michael FitzGerald, author of this catalogue and curator of the homonymous exhibition, and who in 2006 organised for the Whitney Museum of American Art of New York the exhibition «Picasso and American Art», has constructed an entertaining and educational tour through the production of artists from very diverse backgrounds and cultures – from North America, Europe, Latin America, Asia, Australia and Africa, who have been inspired by Picasso since his death. 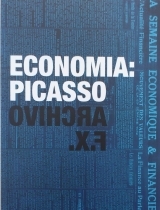 However, FitzGerald hasn't presented Picasso as a master to whom the rest of the artists are subordinated, if not, he has wanted to make known the way in which these creators have used the work of Picasso to elaborate their own works and how the dialogue with history and modernity has contributed to enriching and transforming contemporary culture. 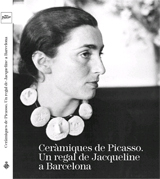 This is the third and final volume of the catalogue series published on occasion of the small-scale exhibitions that the Museu Picasso has organized to commemorate its fiftieth anniversary. 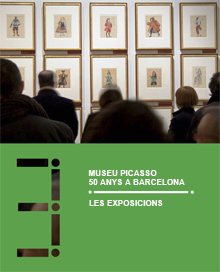 It is dedicated to the seventy-nine exhibitions that it has put on throughout its history: given the impossibility of describing them individually, the author, Montse Torres, offers us a good synthesis of the spirit and the main guidelines that inspired them. The catalogue begins by telling us about an oil painting that Picasso painted on a canvas and that subsequently he covered by painting another over it: Rooftops of Barcelona. This fact, not unusual in the artist at the beginning of the 20th century, has in this instance a special significance, because in the hidden work there appears a couple that is related to one of the leading compositions from the blue period, La Vie, painted in Barcelona in 1903, and conserved in the Cleveland Museum of Art. 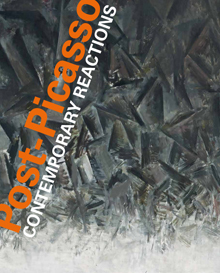 This catalogue gathers together the works presented in the first exhibition that, in a monographic way, deals with the topic of the self-portrait in Picasso. Although this is a genre that the artist cultivated throughout his life, the intensity and intentionality with which he did so meant that they were never the same. 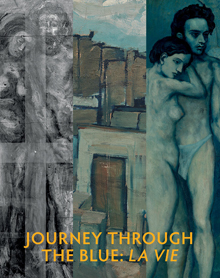 The catalog reproduces each of the pieces of the donation and provides a detailed description of them , which has been developed by experts in Picasso's ceramics Marilyn McCully and Michael Raeburn . Thanks to his work , readers now have an updated and comprehensive information . The book also contains an article by Margarida Cortadella , which answers some of the questions surrounding the donation : who, when and why the pieces that eventually integrating it were elected. In January 1937, Picasso began work on two etchings in which he poured forth a bitter satirical critique of General Franco and the violence being unleashed against Republican Spain, and a denunciation of the suffering of the victims of the country's bloody civil war. Each of the etchingsis composed of nine cartoons, initially intended to beprinted and sold as individual postcards. 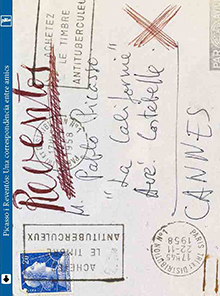 The artist chose the title "Dream and Lie of Franco" for these aquatints, which went on sale finally (uncut, in a folder with one of his poems) at the Paris International Exposition of that year. 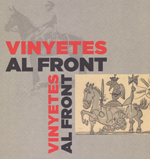 "Dream and Lie of Franco", one of the most emblematic works Picassocreated at the time, is the pivotal axisof the exhibition "Cartoons on the Front Line", which explores in depth the connections between the graphic and symbolic language Picasso used hereand the rest of the art and propaganda produced in the context of the Spanish Civil War. 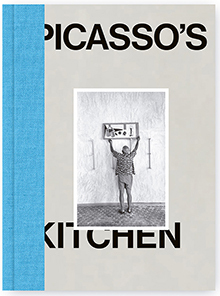 The show and the catalogue cast new light on the indissoluble links between Picasso and his work and the society and the time in which he lived.